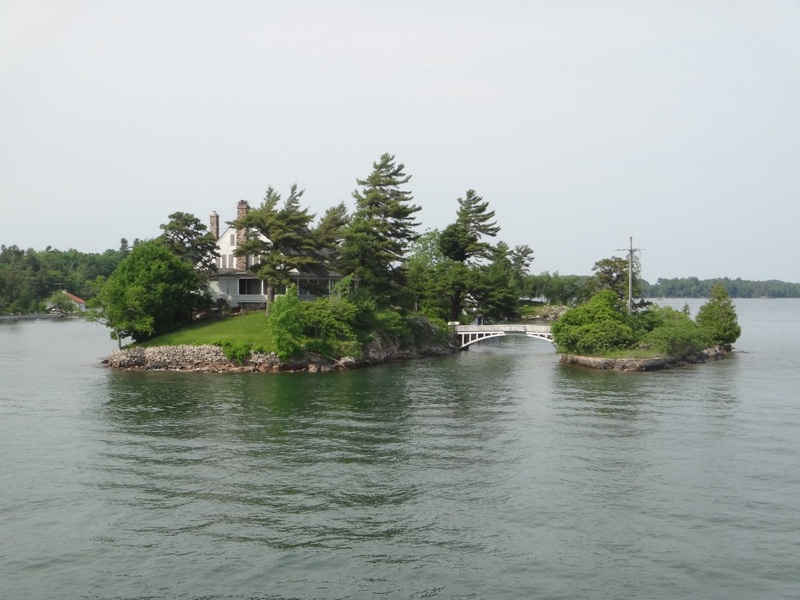 Photograph 2 - One of the 1000+ Island homes on the St Lawrence River - near Lake Ontario, Canada. Photograph 3 - The "Granny Flat" on Mr Boldt's island recluse , 1000 Island Ontario, Canada. 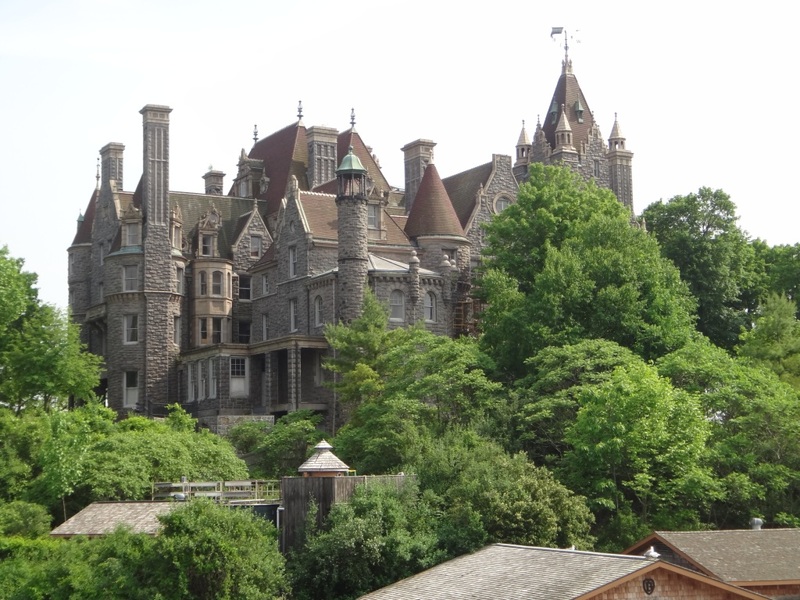 Photograph 4 - The main Boldt Mansion, 1000 Island Ontario, Canada. 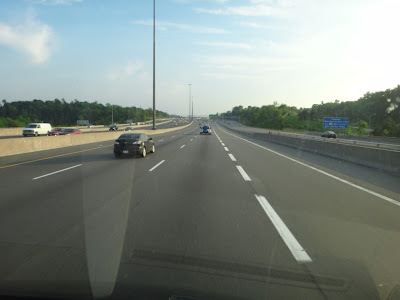 Photograph 5 - Entering Toronto, Canada - a 14 lane expressway - something Sydney should have!!! !-----------------------------------------------------------------------------------------------------------------------------------------------------------------------------------------------------------------------------------------------------------------------------------------------Just a short burst as we are - basically - on the road. We left Boston at 6:45am with our tour company, which happens to be a Chinese company. We have 9 other passengers, a Hong Kong couple, three Greek student males and four Philippino Americans. They are great people. Our driver is a PR of China born national and been in the US since he was 5yo. He is okay, never meet Ozzies before ...so. we are teaching the fine art of Oz lingo (she'll be right mate!!!) 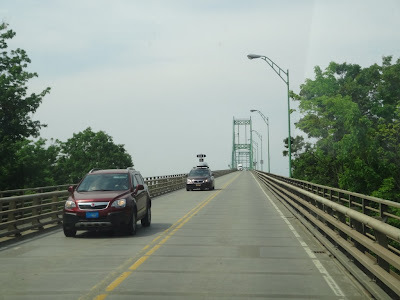 The journey today was about 800 klms crossing Massachusetts, New York state and onto the border with Canada at 1000 Island. We took a boat cruise for one hour sailing around the many opulent homes on individual islands - luxury ay? One island was owned by a Mt Boldt who was the founder of the Waldolf-Astoria chain and build this palace for his wife back in the early 1900's. She didn't see it as she died at age 41 from a heart attack. 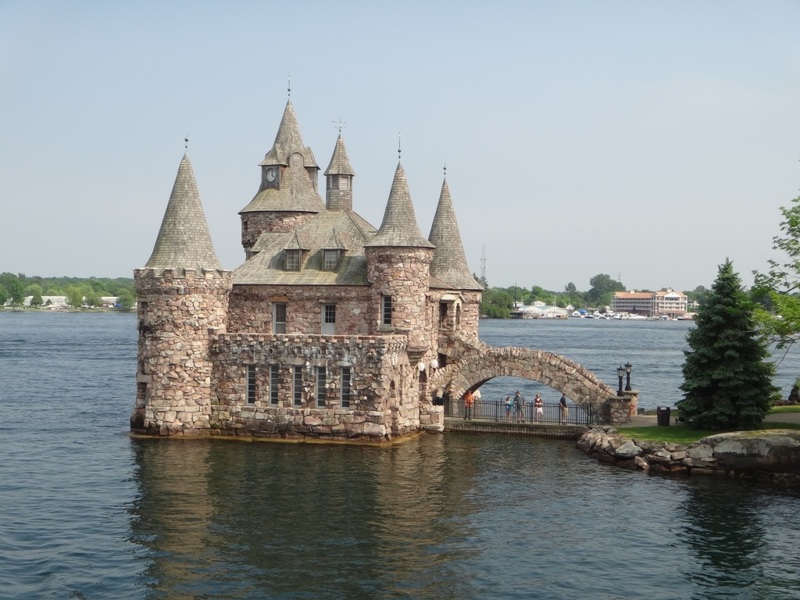 It devastated Boldt and he sold the island property when it finished. The above pictures show the beauty of this structure on a piece of island rock. From 1000 Island we travelled fast to Toronto arriving about 8pm - had a Chinese dinner - surprise, surprise!!! and made it to our accommodation at 9:30pm - after a very long day. Well, tomorrow we will be picking the tourist guts out of Toronto - the CN Tower comes to mind - and staying in Toronto for a second night. The following day will be Niagara Falls. On a final note, we have never seen anything like the expressways that enter Toronto - fast and efficient. Until next time cheers.